Hebrew Bible (which is called the Old Testament by Christians) start with the beginning of Creation, when the earth had not yet been formed. God, the Creator of the whole cosmos, is the central focus in the Bible and is thought to have been active in human history from the time when He created the first humans. In the time of Moses, God helped the Jewish people to escape from slavery in Egypt and renewed His ancient covenant with them. Moses is said to have spoken directly with God on Mount Sinai, when God appeared to him in the midst of tremendous thunder and fire and smoke. God gave Moses many laws for righteous and holy living. 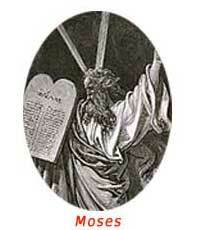 These commandments are often referred to as the Torah. Another great figure in Jewish history was King David. He is traditionally considered the author of the beautiful Psalms of God’s praises in the Bible. He established a flourishing Israelite empire about 1000 B.C.E. with its capital in Jerusalem. A huge temple was built there as the center of Jewish devotional life. Eventually the Temple was destroyed by Babylonian and then Roman forces, and most of the Jewish people began living in other countries. There they sometimes faced prejudice and oppression, including the terrible holocaust in Europe during the Second World War. Since the destruction of the Temple and the end of priestly worship therein, Judaism has been shaped by teachers known as rabbis. Throughout history, pious Jews have held to their belief in the absolute oneness of God, who has created everything and is present everywhere. The people have always been taught to love God with all their heart and to live according to the laws which God has given.